ِAnother dish of my dad’s favorite :), actually it is everyone’s favorite. 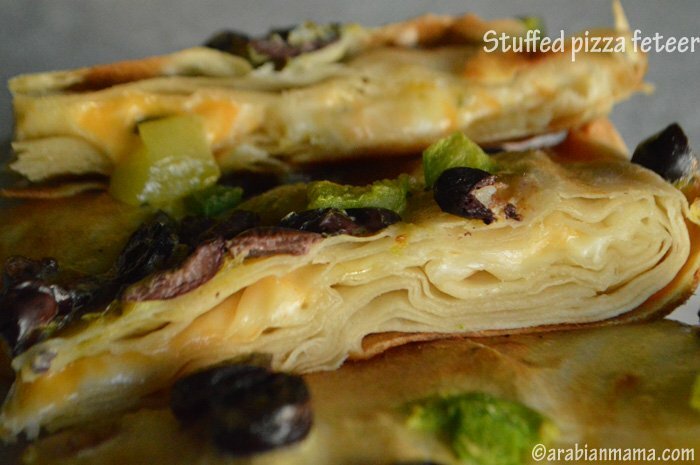 This buttery layered stuffed feteer is another version of the famous Egyptian feteer meshaltet, can be enjoyed sweet or savory. 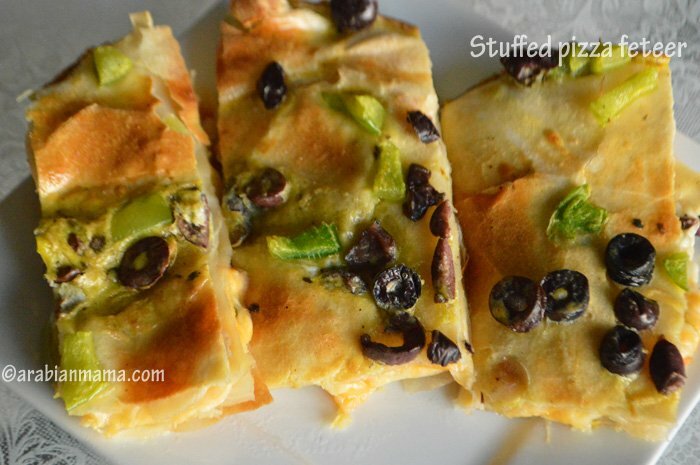 This version of feteer meshaltet can be considered another luxurious way to serve pizza. 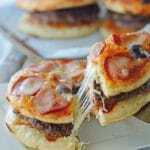 It can be stuffed with any of your favorite pizza toppings. I’m guessing that this type of pizza was originated in the charming city of Alexandria in Egypt, so that’s why it is widely known as the Alexandrian feteer. 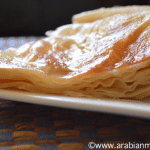 Although the sweet version of these was originated in another city called Ras-Al-Bar. My late father loved the sweet ones so much, specially the ones stuffed with custard and topped with nuts and powdered sugar. For me, I like it savory and I like to stuff it with Nutella for a sweet variation. Can you imagine what is your favorite stuffing? I do hope you’ll try this, next time you think of making pizza. It does require some work but the result is a very luxurious and exquisite taste than ordinary pizza. Here is a short video on how to make Alexandrian feteer. This is a luxurious presentation of the ordinary pizza and the ordinary Egyptian feteer meshaltet.... Enjoy. 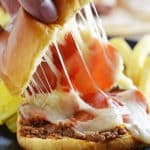 Cheese, canned tuna, vegetables, sausage, chicken, minced beef.... whatever you like as a pizza toppings can go in there. I like to mix an egg with black olives and bell pepper. But you can skip it and serve it plain. Powdered sugar is the best. First, mix the flour and salt and add the first cup of water and knead very well then add the remaining bit by bit until you get a dough that is very elastic and sticky. Divide the dough into 6 balls, grease a deep dish and put the balls in it. Roll the first ball to be very thin that you can see your counter top through, brush the surface generously with melted butter. Arrange your stuffing in the middle and carefully fold all 4 sides over the center. Roll the next ball until very thin and brush as you’ve done with the first ball. Place the already done one, folded side down, then fold the outer one and brush with more butter as you fold. Repeat the process with for a third layer. Brush generously with butter and add the suggested toppings if you would like to. Place in a pizza pan- or any oven pan- for 10-15 minutes until done. Leslie, food in Egypt is one of the greatest strength there :). Custard is one of my preferred variations as well. I hope you’ll give it a try. I have a koshai recipe here and a one with quinoa as well, try them out and let me know how did it go.